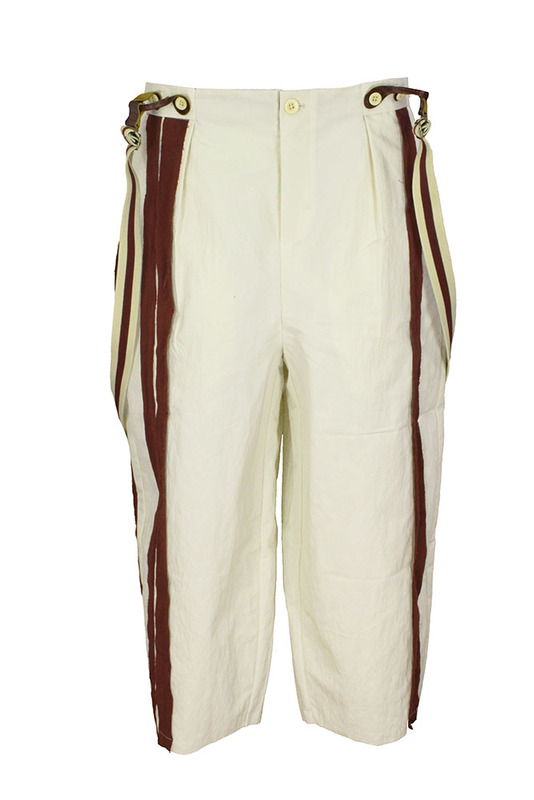 Aleksandr Manamis cut-off, crisp fabric, single pleat trousers in cream colour with claret coloured (rust) detail, with detachable braces (Striped 78 Wide Pant). Button and zip short fly. bone coloured buttons for braces and with side tabs with button fastening. 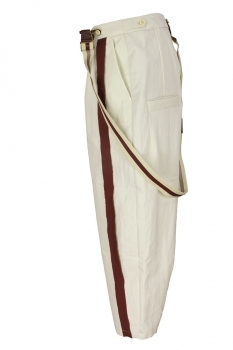 The right leg has a double stripe attached plus a side stripe in claret colour with raw edges. The left leg has a single similar stripe. 2 side pockets. 2 rear pockets with trim detail. The hems are finished with vent and single button fastening. All inner seams are French taped in red tape. 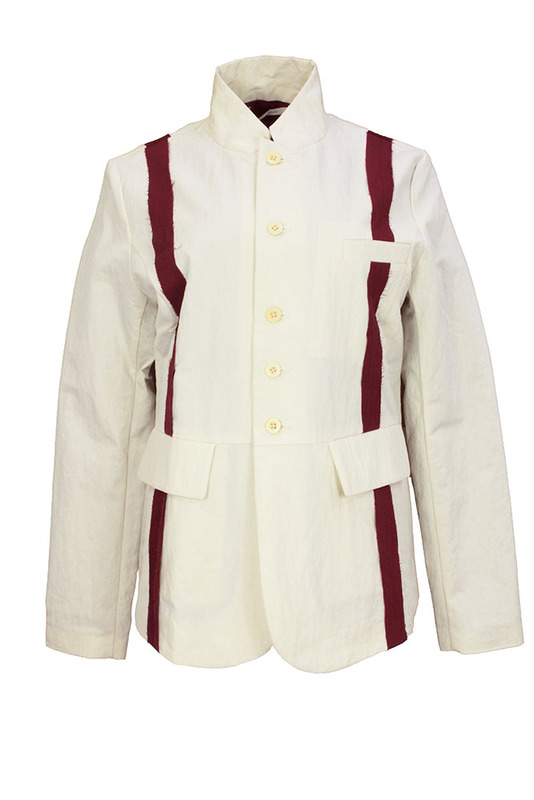 The braces are stretch with claret stripe with metal adjusters and leather fasteners. 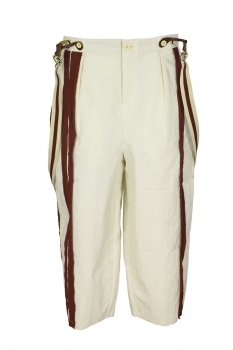 These trousers are superbly made to a standard rarely achieved as is all Manamis. The trousers match the jacket in the same fabric to create a wonderful Summer suit.